No, I'm very fortunate to have recieved Dave Rayner Funding in both 2015 and 2016. I began racing my bike as a junior, starting out with time-trials and a few local road races and criteriums. I soon realised I wanted to pursue a career in the sport and after spending my first two years as an U23 racing domestically with trips to Belgium in the Summer, I decided to spend the whole season there in 2015 and 2016. I've gained some great experience these last two years racing for Belgian teams and am hoping to use what I learnt to win races in 2017 and make a step up to the next level. 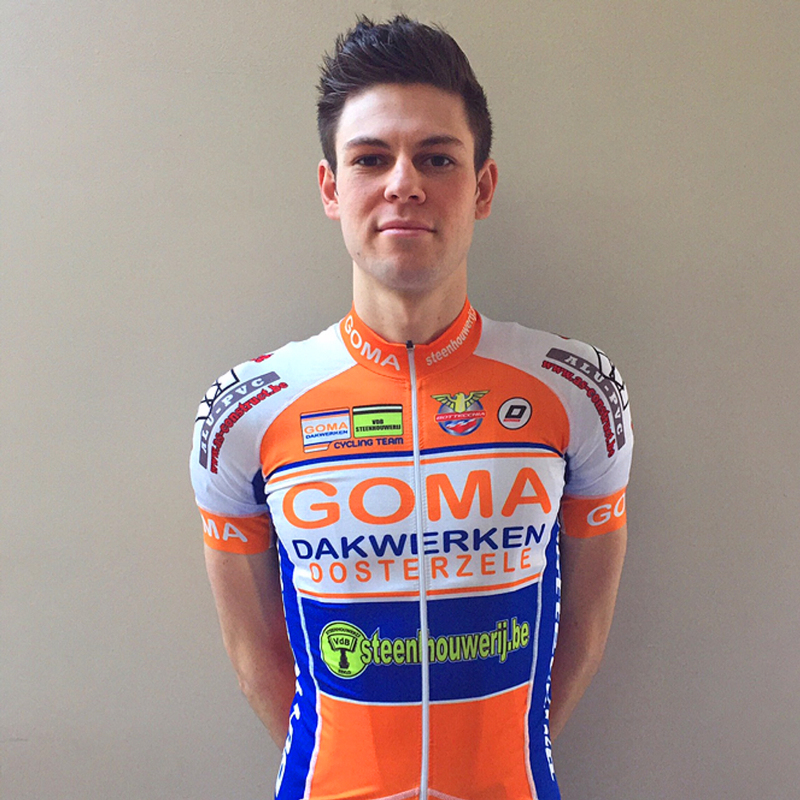 I'm staying with Goma Dakwerken VDB Steenhouwerij Cycling Team for a second season. They're a BVB team with their base being in Parike, located in the Flemish region. The manager dedicates 100% of his time to the team so everything from the team camp and team launch to the calendar and materials are already in place. We're very fortunate to have Kevin Van Impe (ex Quick-Step and Lotto rider) as we can all learn a lot from him. It's easy to do what is asked of you by the team manager when you're racing for a guy like Kevin because you know he can deliver a result at the end of the race. My race programme is similar to 2016, I'll be racing in all the Beker Van Belgie (Belgium Cup) races. I'll also be competing in other Interclubs in Belgium throughout the year and stage races like Ronde van Vlaams Brabant and the Tour de la Manche in France. I'll be riding a Bottecchia 8avio Evo again this year and my kit is supplied by Doltcini and GripGrab. I work as a barman when I'm in the UK and also as a student marketing assistant throughout the year, both of which interest me. I also enjoy writing and visiting new countries/cities.